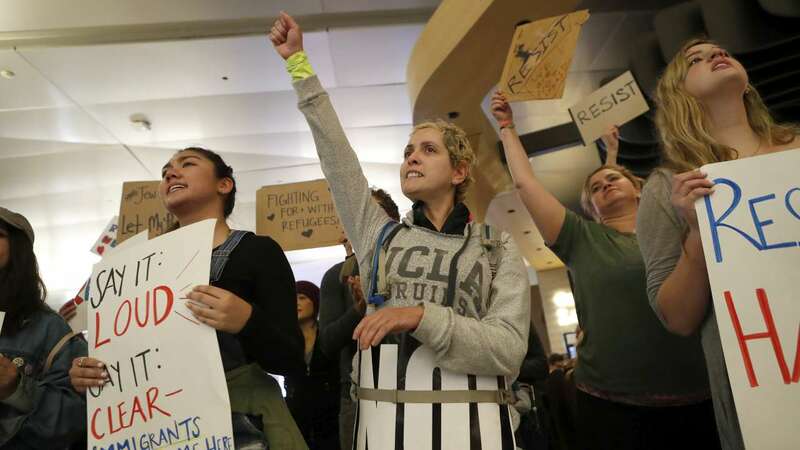 WASHINGTON, D.C. -- Don't talk about airport protests in Trump Country. 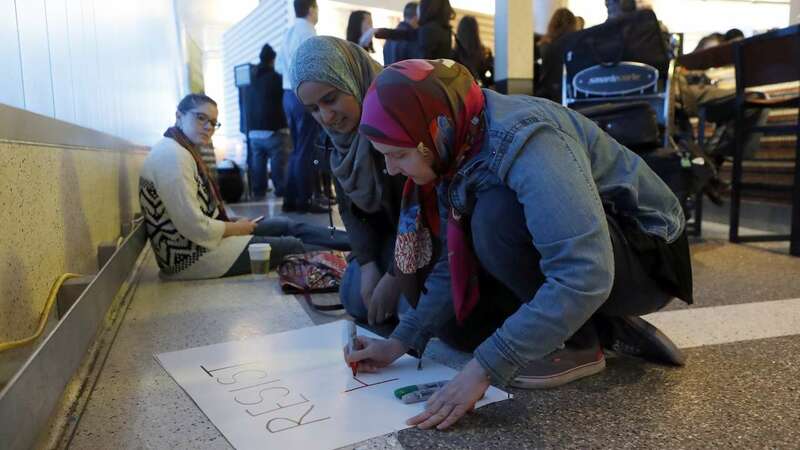 In the states that propelled Donald Trump to the White House, the president's fans couldn't be much happier with his executive order temporarily banning refugees and immigrants from seven mostly Muslim countries. Trump promised to put America first during the campaign, they say, and he's doing it. That includes securing the nation's borders and doing everything possible to prevent terrorists from entering the U.S. In their view, Democrats and liberal snowflakes and soft-hearted do-gooders just need to calm down. Trump is being Trump. "It shows me that he means what he says," Judith Wilkenroh, 72, a retired social-services worker from Frederick, Maryland, said Monday. "He's just unafraid. He's just going ahead like a locomotive, and I like him more and more every time he does something." Two of Barbara Wood's three sons served in the military after Sept. 11, and she's all for Trump and his immigration order. The president "is fulfilling his campaign promises to the best of his ability. I applaud him for that," said Wood, who lives in suburban Birmingham. 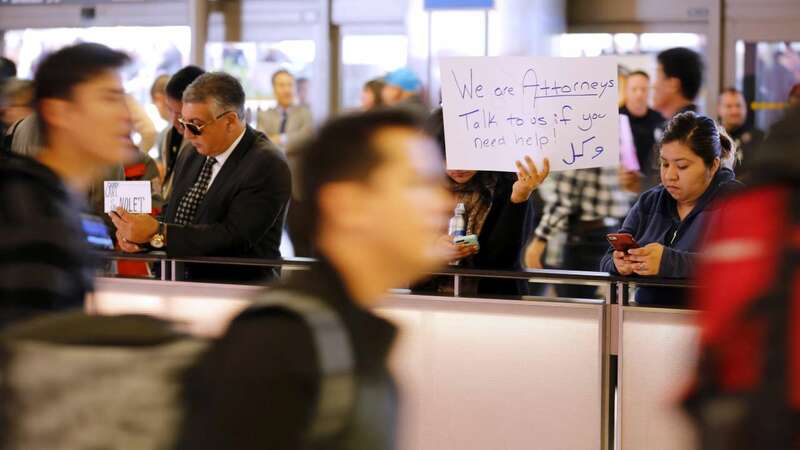 Thousands of people have demonstrated at U.S. airports since Trump issued an order Friday blocking people from seven countries in the Middle East and Africa from entering the United States and suspending refugee immigration for four months. 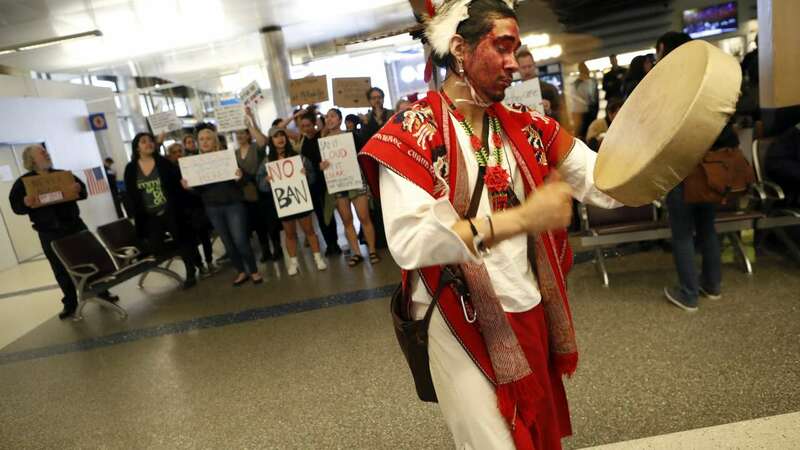 The protests included a gathering of several hundred people in Birmingham, the largest airport in a Southern state that Trump carried with ease. 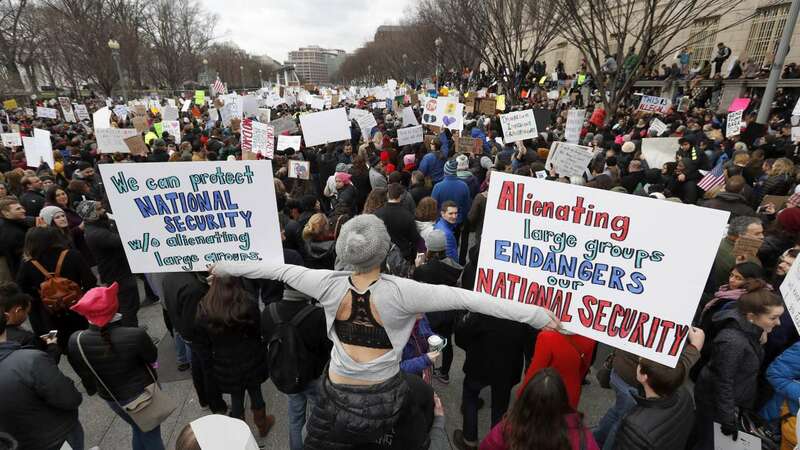 There, Trump supporters said, they are happy with the immigration order and the ideas behind it, from improving national security to watching out for Americans first. Some Trump backers said they might do things a little differently than the president, but their overall reaction is positive. 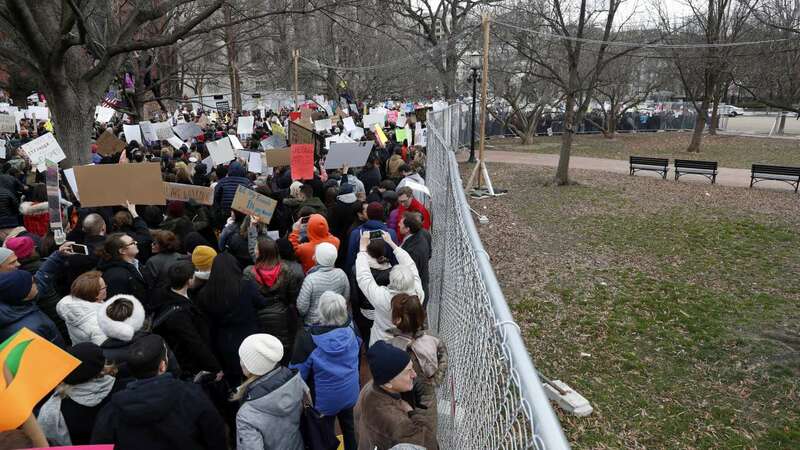 Republican Scott Presley of Virginia Beach, Virginia, likes Trump's order so much he thought about staging an airport protest of his own in support of the president. 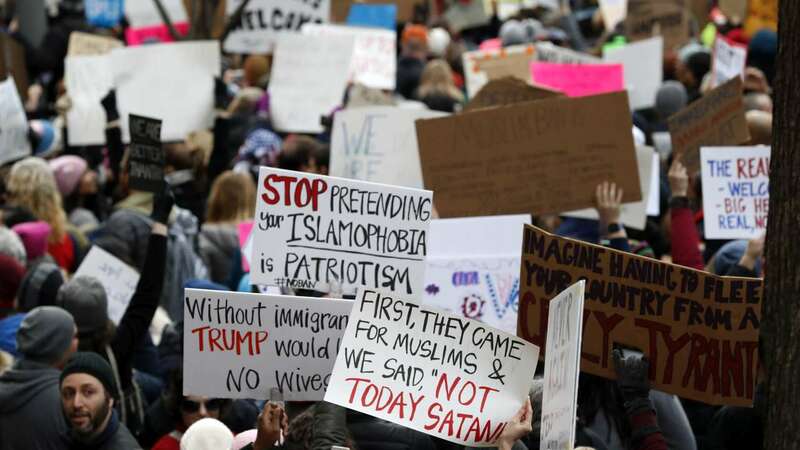 Presler, who is gay, said he wanted to go to Virginia's Dulles International Airport to support the president's immigration ban while carrying a sign that said "Radical Islam Murders Gays." 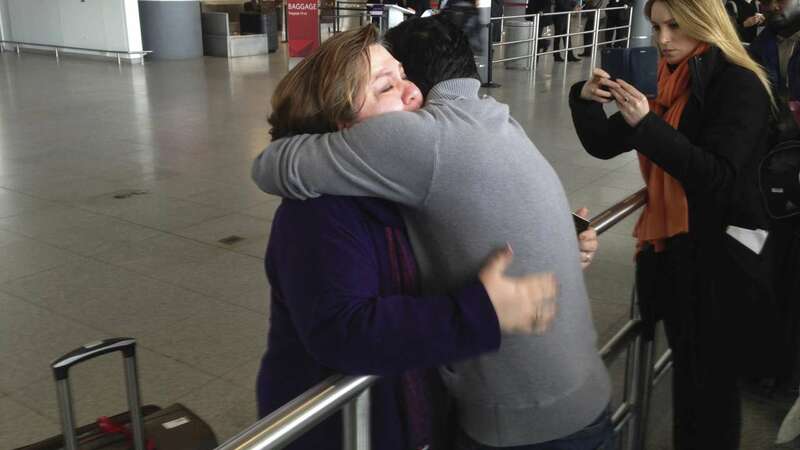 But he said he stopped short of making the trip out of fear for his safety. "I'm a compassionate human being," said Presler, 28. "I'm a humanitarian. But I'm also compassionate toward the health and well-being of the American people. We have 50,000 homeless veterans in this country. We have our own poor and suffering." Associated Press writers Dave Dishneau in Hagerstown, Maryland; Claire Galofaro in Louisville, Kentucky; Ben Finley in Norfolk, Virginia; Jacob Jordan in Atlanta; and Alanna Durkin Richer in Richmond, Virginia, contributed to this report.